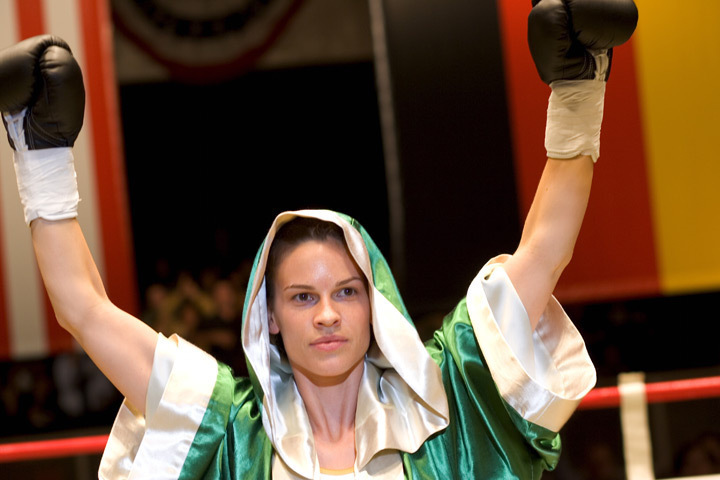 So I had never watched Million Dollar Baby before this weekend. Besides me being a loser in that respect; I’m just not a movie person. When it started playing Sunday evening all that registered in my head was: “OK, movie with woman playing a woman in a male dominated industry-record”. LOL! I asked my mother what the title was; she told me it was Million dollar baby. I watched it for approximately 15 minutes then went to my room to go and attempt some sort of study session. What actually happened in my room was a brainstorming session for this blog post. It went a little something like this: “Oh I know what’s going to happen, typical movie. The woman will get shunned (yes I watch Breaking Amish) but she won’t give up. 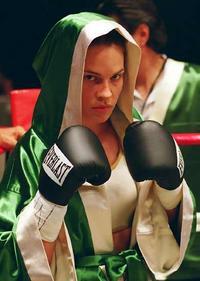 In the end, she will turn out to be the greatest female boxer, winning the million dollar fight. All the feminists will be like: “yaaaaaas!!! Female empowerment!! !” and so I’ll write something with reference to the movie and link it to female empowerment. Booooy! am I glad I fought my ignorance and actually did some research. Million Dollar Baby has that: “you made your bed now lie in it” ambiance. That gut wrenching feeling you get when you decide to do something in life which later has adverse results. Almost like that feeling I had today after I realised that my initial answer in today’s test was correct but I had decided to change it. I was in THAT unfamiliar familiar situation today. So I was faced with two options: sulk all day or just be like whatever’s happened has happened. I can’t change it… but I can go home and write an awesome post about it! The reason why I call these situations “unfamiliarly familiar” is because they happen (everyday) if you’re actually alive and living your life, yet they always catch us off guard and little by little plant that seed of doubt and regret in our minds. Another characteristic of these situations would be when life doesn’t go your way. So my question is: what are you going to do about it? Are you going to sit in a corner and have a “bleep the world day”… everyday? Are you going to go to work or school naked because you are too afraid to make a decision between the black shirt and the black shirt? No, you are going to wear that black shirt because YOU like it, it’s YOUR decision to make and IT IS YOUR opinion that matters; and if you get to work or school and Jake says he does not like it then HE CAN GO EAT A DIC.TIONARY. People throw their two cents all around and you take it to heart like they’ll be there helping you get through the repercussions of that “bad decision” you made. So just wear that black shirt because we live in a “dammed if I do, dammed if I don’t” society, and all you should remember are the cheers in your head from all the self- love you gave yourself in the morning as you looked in the mirror. At the end of the movie I was left speechless and teary- eyed (SPOILER ALERT: do not read beyond this sentence). Not because Maggie was now dead… it was the way she lived that tugged at my tear ducts and heart strings. She died a winner, she did what most losers don’t do… she tried. She risked it all and when it was all over, she rode the wave of her decision and opted to exit the world still remembering the greatest fight she had ever fought. Instead of living a life of “I shouldn’t have” or “I could have”, I want to live a life of no regret, knowing I went for everything I wanted to go for. A life filled with “I tried” and “I did” because soon after that I know my vocabulary will have fewer tries and more wins. After all, failure precedes success, so how will you ever win if you never play? *I could have(yes I know)concluded with this line, but I’m not Robin Sharma (please read as: I am not a world renowned success guru and motivational speaker yet); as a result, my conclusion can’t be that smooth! Sooo then… hmmm let’s see…* may the force be with you! May the force be with you too lol. Absolutely good, challenging and interesting read.